OFFICIAL UFC 202: N8 Diaz vs Connie McGregor CHOOSE your side! Discussion in 'UFC Discussion' started by BRASIL WAND, Aug 8, 2016.
Who's gonna win @UFC 202? Since the next UFC event is the big 202 PPV I wanted to see where Sherdog is at right now with their picks. What are your guys thoughts, picks, and predictions for the fight??? Don't back down now lads! The time to pick has come! AV, Sig, Account bets all welcome too. Davey Crockett, beautifulDestruction, Aerinqq and 13 others like this. beautifulDestruction, xupacabra, Fincher7 and 1 other person like this. He learned his lessons & will do for 5 rounds this time what he did in the 1st round the first time. He's carrying the UFC right now... Ya'll have some respect for the PPV king. BC, Alex, McgreGOATsLeft and 4 others like this. If Connie beats Nate at UFC 202 I will leave Sherdog forever. Have I been wrong yet!? Davey Crockett, Teh_Lulz7, funksoulbrother and 1 other person like this. what-wut, BRASIL WAND and Jopo like this. I´m a long Conor fan... but also, a new Nate admirer. I can´t hate the guy. He´s the boss. Mind says Nate. Heart says McGregor. I´ll be happy for the winner, no matter who it is, at the end of the day... I like them both. 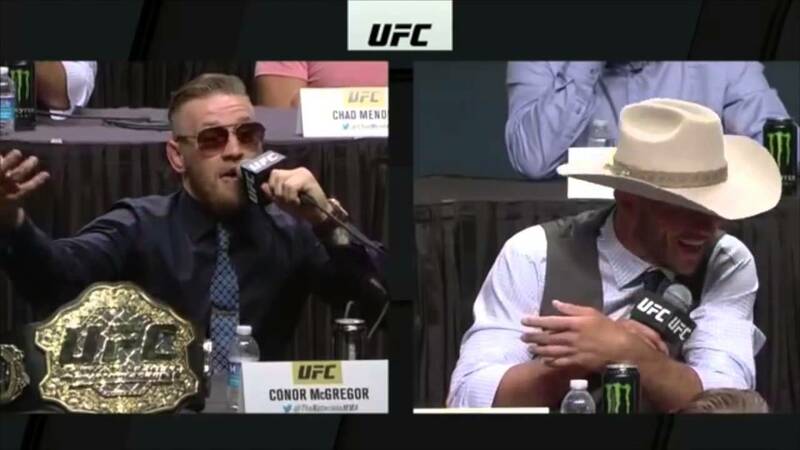 Perhaps, deeply I´d be happier if McGregor takes it... so we could have a third fight... but NEVER, under no circumstances... right after this one... Conor needs to defend his belf, and I´d like to see how Diaz manages with a LW opponent since his stardom. Fan of both, rooting for Connor. beautifulDestruction, Filthymaggot, Fincher7 and 1 other person like this. Nate. Please restore sherdog to whatever normal is around here. I like them both but I'm picking Conor. Myrddin Wild, BC and NaughtyBoy like this. Rubberneck76, Bewareofdawg and Santonja like this. True, but not as strong as "hate"
Can we get a "just hoping for a good fight" in the poll? Not all of us need to beat off about bragging rights. Filthymaggot and The_Renaissance like this. Don't know who Connie is, couldn't vote.